On Wednesday, May 7 we hosted a chat on Oregon's remarkable 15-year rise as a national college football brand. Our guest experts discussed the Ducks' marketing strategy, its impact on the college football world and the lessons other emerging brands can learn from it. On Wednesday, May 7, we hosted a chat on Oregon's remarkable 15-year rise as a national college football brand. Our guest experts discussed the Ducks' marketing strategy, its impact on the college football world and the lessons other emerging brands can learn from it. How Oregon conceived its marketing plan and how it was implemented. What kind of impact and influence it had on the college football world. What other emerging brands can learn from the Oregon experience. Well, Oregon WAS on the scene back in 1999 but in a different way. A few years removed from Rose Bowl vs. Penn State. I remember the Pac 10 being very mediocre then except for UCLA, the first No. 1 team in BCS history in 1998. There wasn't much media coverage of us. As a student in Wisconsin at the time, I didn't think much about the Ducks. 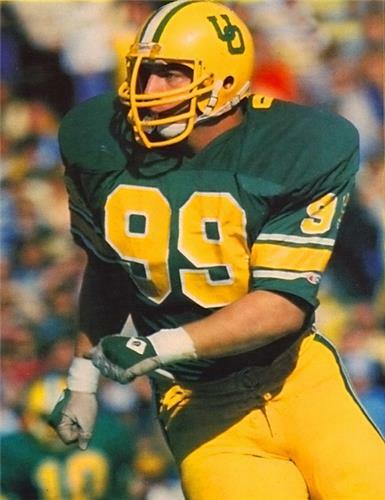 Ducks had virtually NO national buzz, still stuck with an inferiority complex I would say even though the program was solid with Mike Bellotti at the helm. As you can see below, the Duck brand was a bit different back then. What were some of the challenges and disadvantages that Oregon faced in making a change? Have to admit that pic might be before the turn of the century. was what makes us relevant? How can we distinguish ourselves in the marketplace? The disadvantage would be location and lack of media coverage at the time. 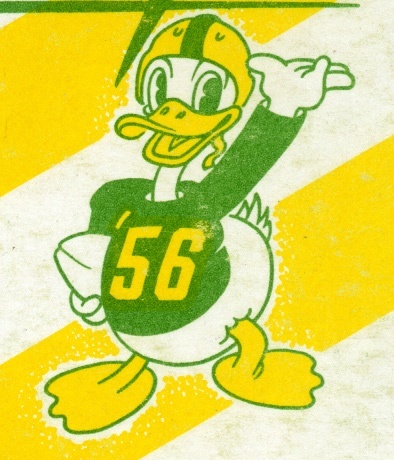 From an identity standpoint, the brand was dated - dark green, Donald Duck mascot, etc. That plus the lack of success was really hurting. Well, it's always a challenge being on the west coast when ESPN is located in Bristol. We used to joke about how GameDay needed a map of the United States to find the Pac 10. Admittedly the football wasn't that good but the bias was obvious. I really think the ESPN people didn't want to haul all their trucks and equipment west. Just didn't think it was worth the investment. That would change in the coming years with rise of Oregon and Pete Carroll arrival at USC in 2001. Craig, is Oregon's location, away from major urban centers, a challenge when it comes to marketing? The Pac-10 wasn't held in really high regard in Big Ten country. USC, the premier program was struggling. It was a challenge at the time. We only have 2.1 million people that live within a 100 mile radius of Autzen Stadium. It is amazing we have sold out 96 straight game, a real testament to our fans. We have won 10 straight games against UW, just wanted to point that out for any Huskies out there. Mini SEC town? I like that Chris. Ha, thanks Craig. 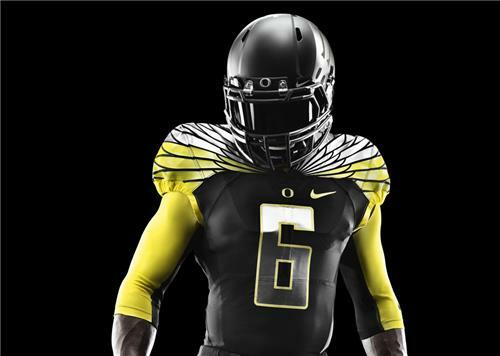 What are some of the natural advantages that Oregon has when it comes to building its brand? Yes you've turned the table on U-dub, but it wasn't always that way, and that has been key in establishing the beach head in the Pacific Northwest! My joke was that Washington always thought it had the upper LAND. Our relationship with Nike, first and foremost and a group of donors who realized in order to compete we had to improve the student-athlete experience. Great answers guys. Now that we've established where Oregon was 15 years ago, I'd like to talk about what I think was the turning point. Ready? Didn't you just post the turning point? Guess we are done here. Craig: Who made the decision to put the Harrington billboard in Times Square? Was it part of a grander strategy? Chris and Ed: What kind of message did this send to the nation? It was an idea that came from Michael Doherty, who works at Nike. He got together with Ken O’Neil, a Portland businessman and Jim Bartko from the athletic department. They presented it to Jim and Jim executed it. The key component is getting approval from Mike Belotti and Joey Harrington. Nobody had done anything so bold before and it was a big risk to put your star QB in such a prominent spotlight. with a number of coaches over the years, very few would even agree to such a move. Incredible moment...being a New Yorker, we were all puzzled by this initially and then realized its brilliance. It was clear that Nike was using this campaign as a platform to elevate the O's national prominence as well as to use it to sell more products and services. Yep, there was a Joey Football before Johnny Football. Well, make that Joey Heisman. I'll never forget that campaign and what it did for the program. It wasn't positive at first. Tremendous backlash from national types....audacious. The funny part was Joey H. was the nicest guy, very modest. It took a lot for him to put himself out there like that. coverage on the East Coast. Television contracts weren’t what they were and nobody knew us. It started the conversation about Oregon and sent a message to fans, recruits and media that we were interesting in competing at the highest level. How effective was it from a marketing perspective? Was it money well spent? I believe it cost $250,000. THE most important part of that campaign was Oregon and Joey backing it up. He didn't win the Heisman but having a great year in 2001 was critical in establishing the Ducks' credibility. Had the team gone in the tank Oregon may have been laughed off the stage. social media didn’t exist. Nobody had ever done anything so bold and visible in marketing college athletics before or since. Craig, do you know whose idea it was to put that billboard up? How big a role did Bill Moos play? Did he have to sign off on it? It was a risk to everyone's reputation, right? IMO, Nike has since spent a lot of money this way, they have grown exponentially, so the proof is in the pudding as they say. This ad was a major conversation starter. They owned NYC for a period of time (and the global stage). There have been several imitators since this ad - Syracuse most recently, but nike started it. By the way, for those of you who have submitted questions, we'll be showcasing your questions toward the end of the chat. Again, I wasn't here at the time, but yes Bill Moos had to sign off on it. It was a risk, but that is what has differentiated our brand. We are willing to put ourselves out there. The key part in the coming years was to marry the success in football after the Fiesta Bowl win to the uniforms and a different style of play starting in 2006. That's where I think Mike Bellotti deserves a lot of credit because he wasn't exactly Mr. Razzle Dazzle. Agree or disagree on this statement: The modern Oregon football program can be traced from this campaign. I say yes. I think it set the tone. Your thoughts?